BERLIN (Bloomberg) -- Volkswagen AG said nine-month operating profit more than tripled, boosted by deliveries in China, and forecast growth in the currently quarter will slow. Operating profit jumped to 4.8 billion euros ($6.7 billion) from 1.5 billion euros a year earlier, VW said in a statement Friday. Sales jumped 20 percent to 92.5 billion euros. Net income rose more than sixfold to 4 billion euros. VW is targeting a second consecutive year of record global sales as it adds about 70 models, including upgraded versions of existing vehicles, across its nine brands. 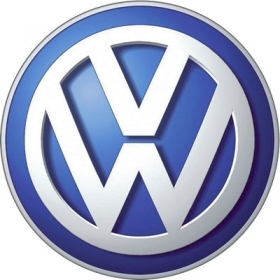 VW sold 6.29 million cars, SUVs and light commercial vans in 2009, a gain of 1.1 percent.